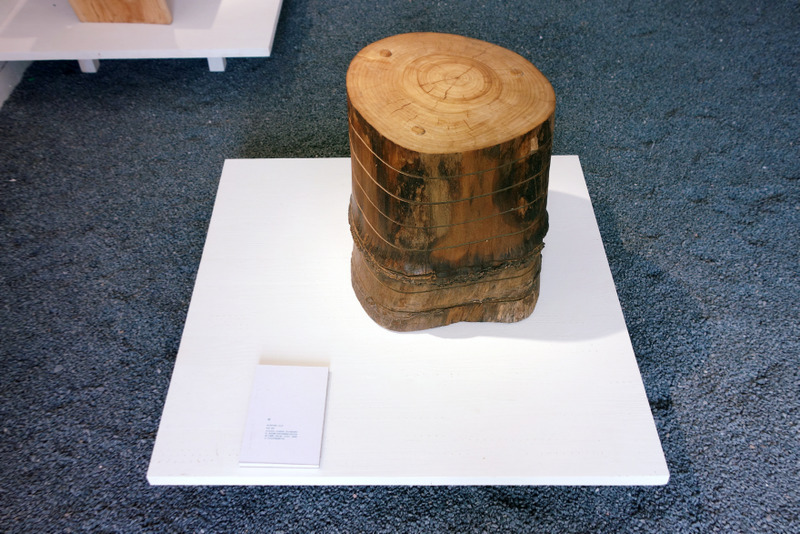 The use of wood is by no means a trend, at least not in the sense that it is a new phenomenon. 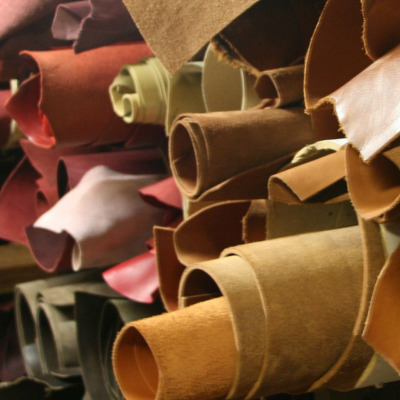 After all, China has a 7,000-year tradition of sunmao, or mortise-and-tenon joinery, dating back to the late Neolithic era, when it was used in Chinese timber-frame architecture, and it has been employed to make furniture for nearly as long. 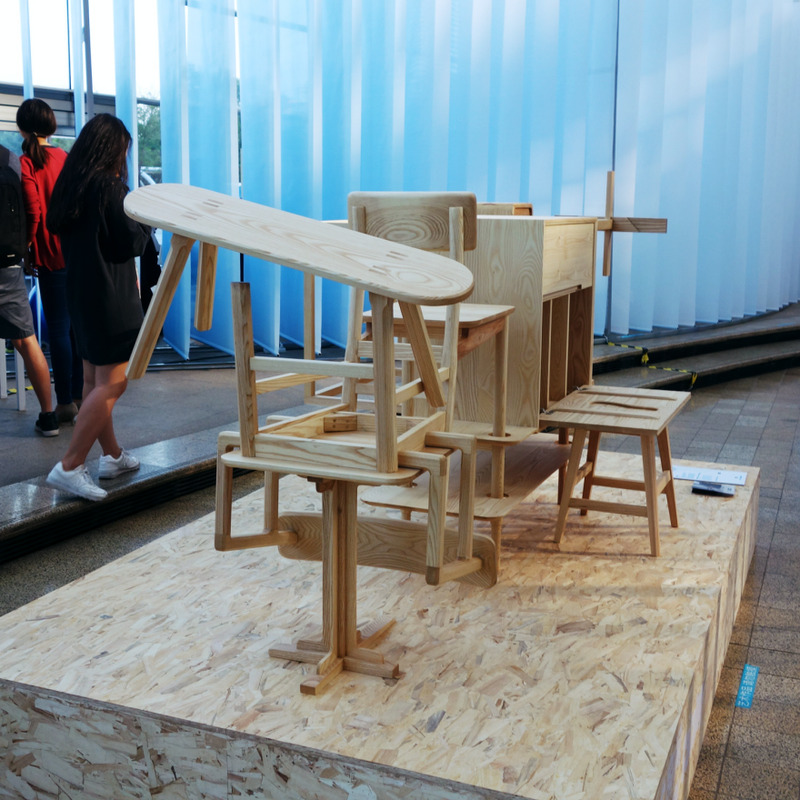 The simple yet robust construction method lends itself to a variety of applications and aesthetics, and the new exhibition areas of Beijing Design Week saw both how contemporary designers are revisiting sunmao with fresh eyes and how the technique has endured in age-old designs. 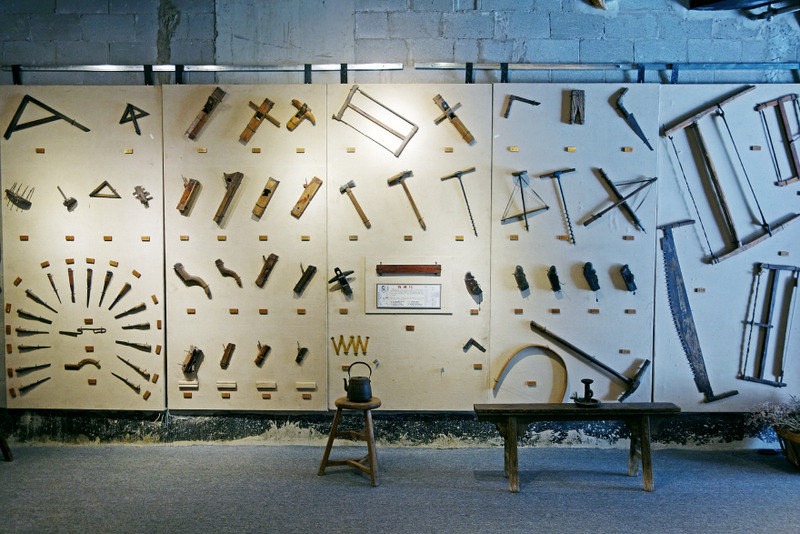 Curiously enough, a historical exhibition of time-honored joinery was on view at the newest BJDW venue, the Beijing Tianzhu Free Trade Zone Culture Free Port (yes, that's what it's officially called), which was hosting the inaugural Beijing Design Fair. A few storefronts in the brand new — read: predominantly vacant — office park hosted “The Beauty of Handmade,” a group exhibition featuring a mix of regional and contemporary wares. 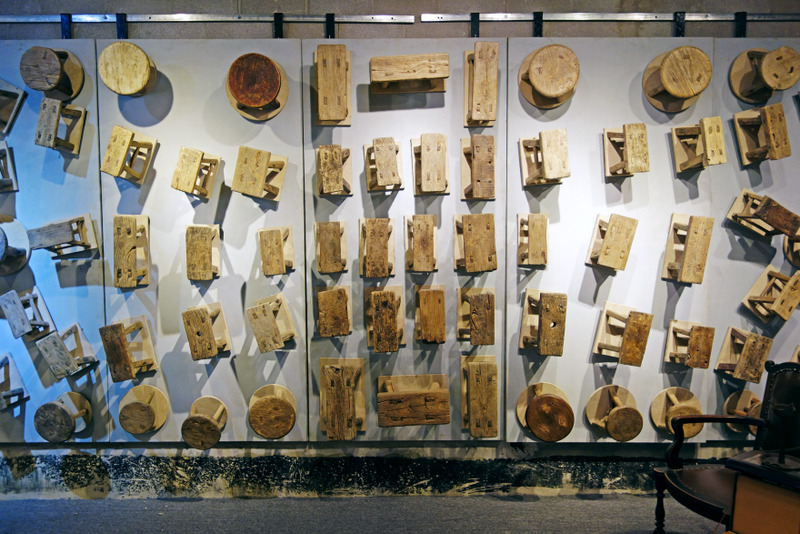 The highlight was a “Traditional Craft Museum” a number of handmade stools (available to purchase) opposite a wall of hand tools that were supposedly used to make these vernacular objects. Although this year marks a modest debut for the Beijing Design Fair, the show has plenty of room to grow: exhibitors occupied but a fraction of the open-air lower-ground retail concourse of the office/retail campus — 450,000 sq.m. of space across a cluster of over two-dozen mid-rise buildings, strategically sited next to the airport. 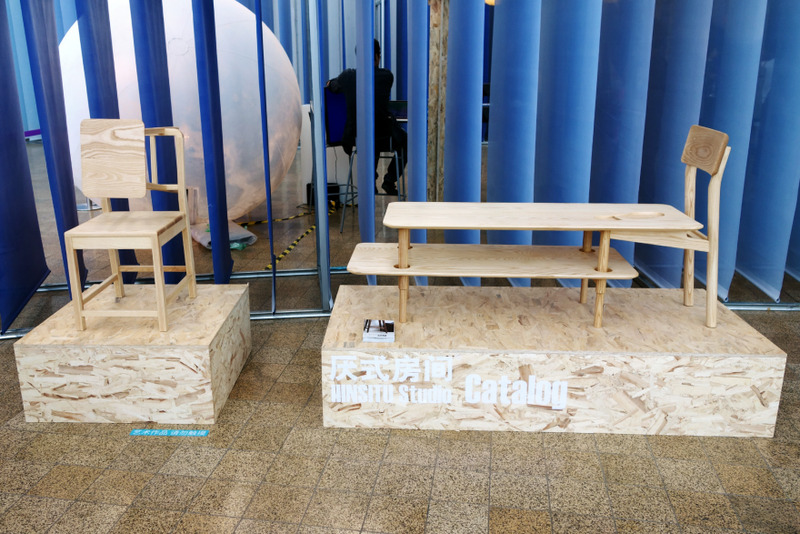 On the other end of the spectrum, Zaozuo, a new manufacturer of affordable furniture made its design week debut in another new exhibition area, the predominantly residential neighborhood Baitasi, in a space that was formerly the local market. 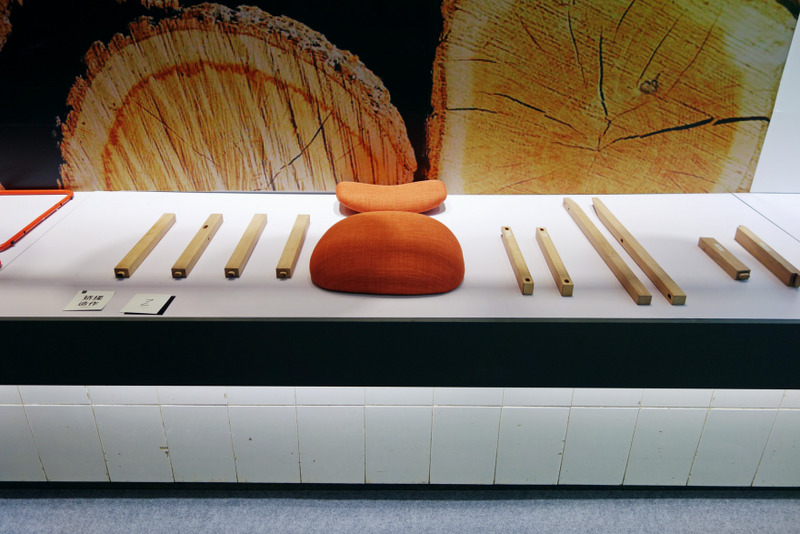 Founded one year ago, the brand produces designs from a roster of mostly European designers to bring otherwise inaccessible design to a broader audience in China. 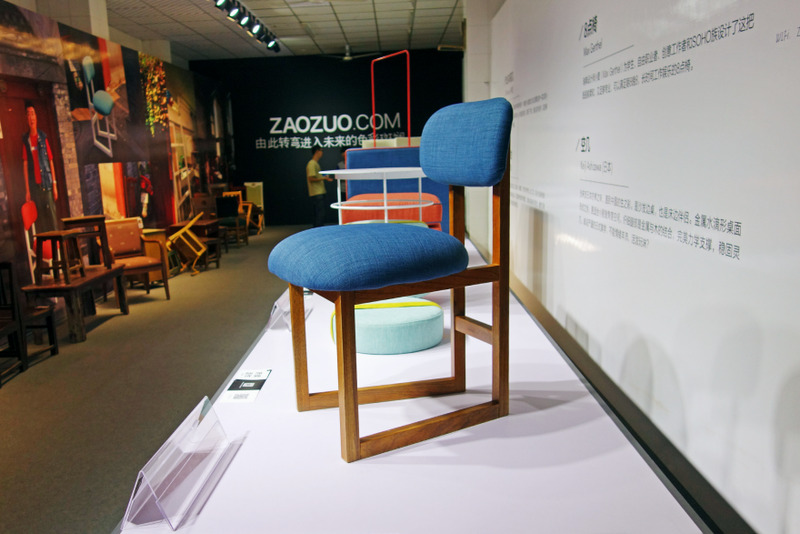 For the launch of the company, Zaozuo launched a campaign in which the local residents of Baitasi could trade in their old furniture in exchange for a brand new "Freelancer" Chair by Beijing-based Swede Max Gerthel. The used pieces are displayed opposite the collection. 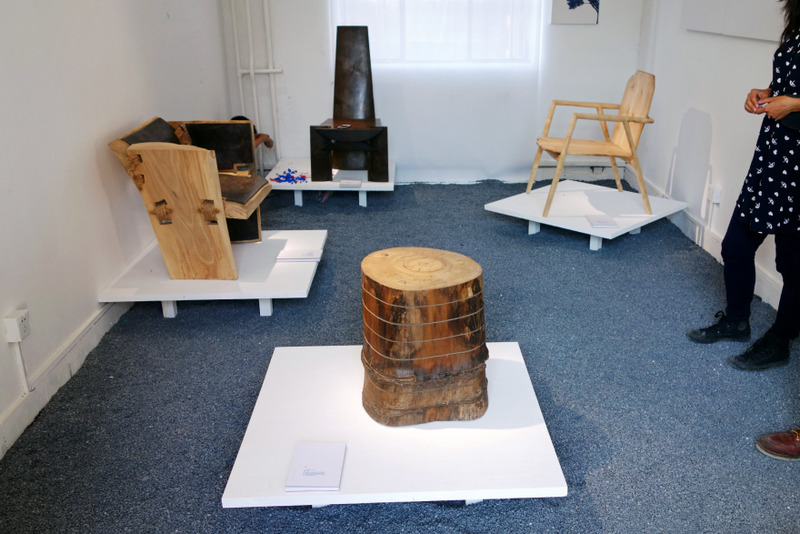 Across town, another manifestation of contemporary Chinese woodwork is on view at the 751 D-Park. 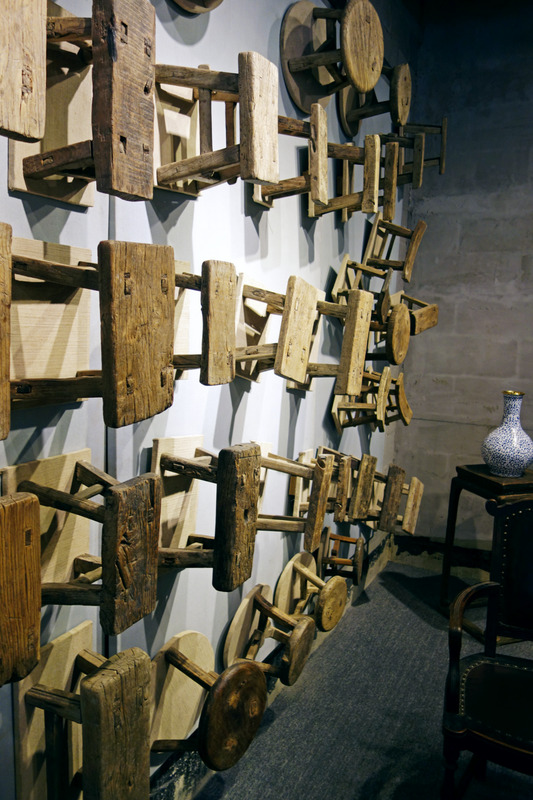 Designer Liu Weiqi founded Chang JiuMu as an interior design firm in 2006 and expanded his practice to include to furniture design last year. 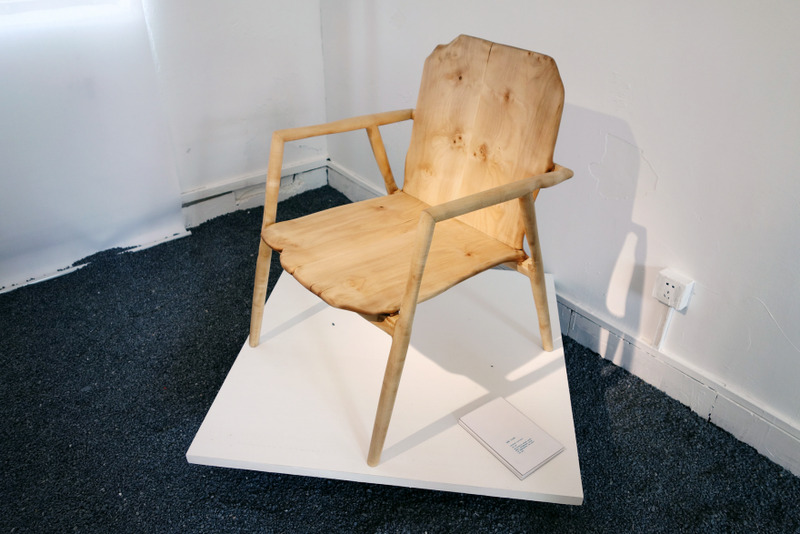 Only the Ruyi S1501 chair, pictured below in white ash, is crafted with sunmao joinery, but each piece is a contemporary update of a classical techniques and forms. 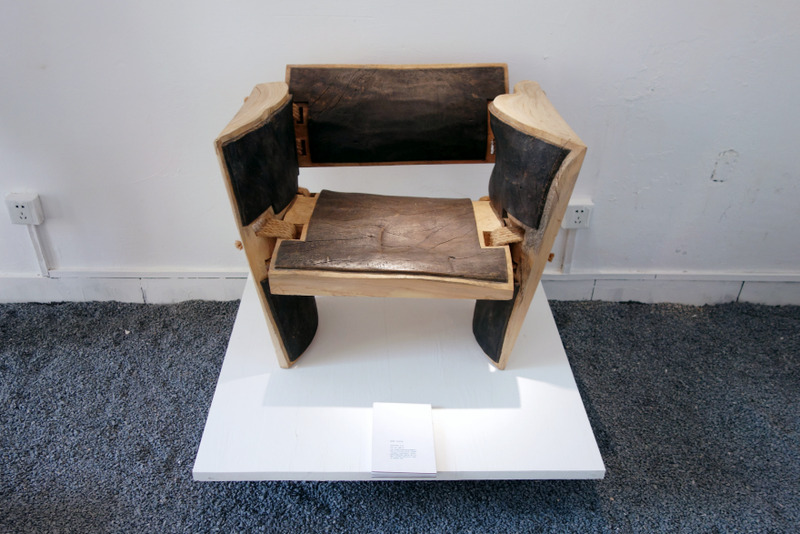 In addition to Chinese traditions and typologies, Liu cites Barragán and Thoreau as influences for Chang JiuMu furniture. 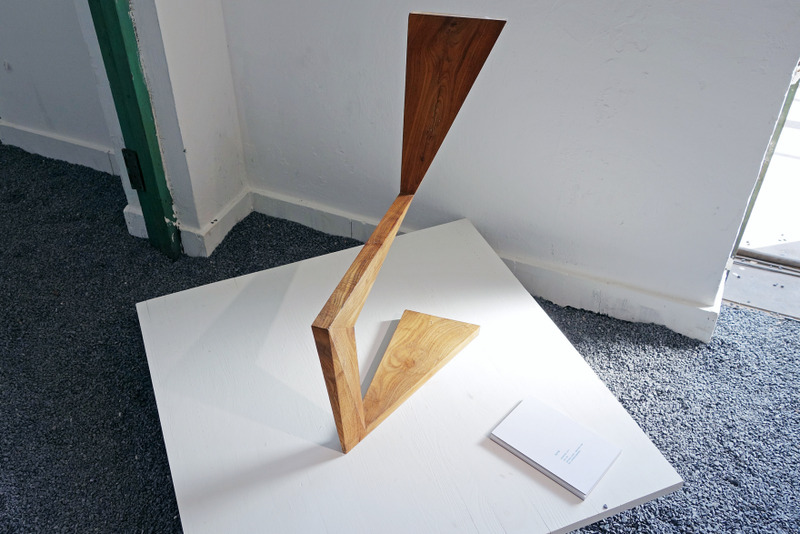 Splitting the difference between the two furniture companies, IIINSITU Studio offers small-batch design pieces, made with sunmao among other joinery techniques, produced at a factory on the Fifth Ring Road of Beijing. 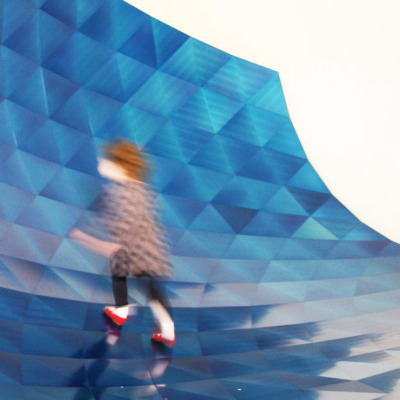 For a special installation at the Indigo Shopping Center — yet another new venue for this year's design week — founder Zhang Yan'Ge had his craftspeople create these mutant pieces to represent his product catalog. Zhang has successfully navigated the domestic market through direct sales via the e-commerce platform Taobao; read his story here. 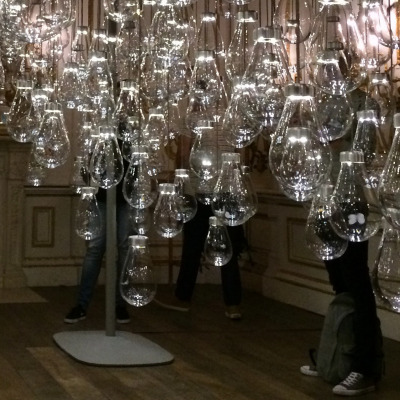 Ai Weiwei's first solo exhibition in his native China is currently on view at Galleria Continua. 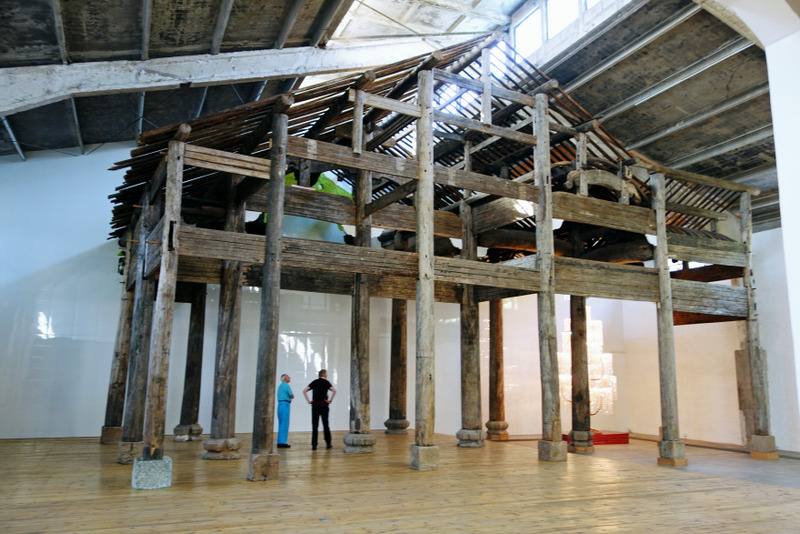 The original structure dates back to the Ming Dynasty and has been meticulously reassembled in the two parts, with the other half on view at the neighboring Tang Contemporary Art Center. It is, of course, constructed with traditional mortise-and-tenon joinery. I love the small wooden stools. They are one of the most ubiquituos objects in China. 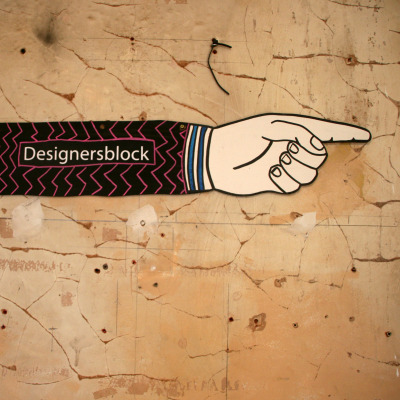 You cannot walk down the street without seeing several of these. Every shop, and food stall, artisan, street vendor has them. 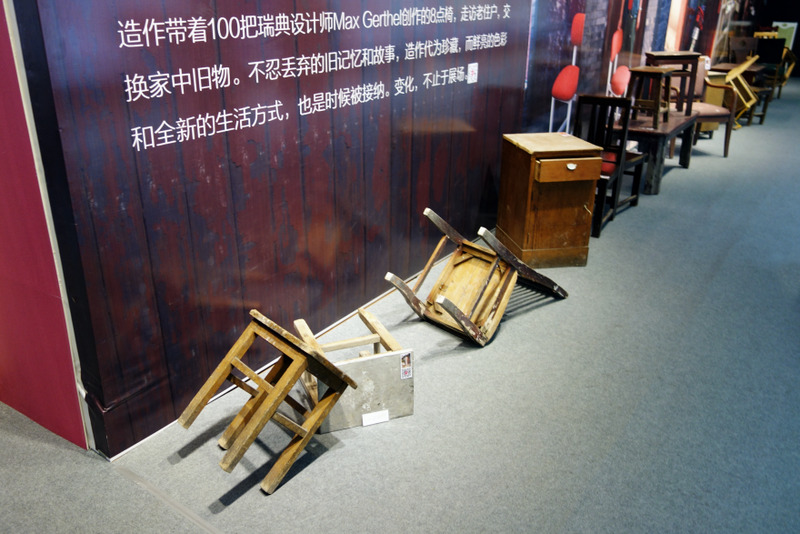 For this display they probably just handed a guy 1000RMB and said "Go get some stools!" and he just walked down the street buying them from people. They are beautiful in simplicity.